It's all about Pigswick! We return to teach the Pigswick students a new thing or two, so we become their tutors. Truth be told, they're much tougher than the last time we have encountered them. They come with cheats and more! At the end of the tournament, something goes horribly wrong, so it's up to us to rescue Pigswick Academy again! 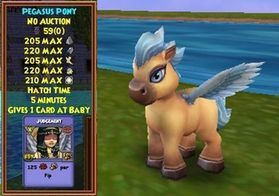 You receive a cute Pegasus Pony, a nice snazzy Pigswick gear and an incredibly cool Tanglewood Vine mount that rolls along the ground as you ride it. Your wand is also a book! What more would you want? 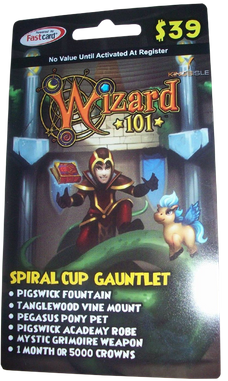 Not only that, you receive a Pigswick Fountain aka the Spiral Cup Gauntlet. Just step in it to start your new adventure! Now be warned, you have to be friends with the owner of the gauntlet to use it. 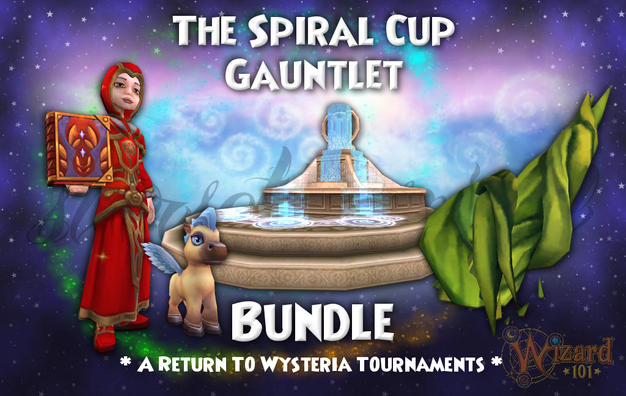 The gauntlet drops pets and even another school based Spiral Cup gear set like the Chaos set. Yep, you can get any of the Pigswick school gear! 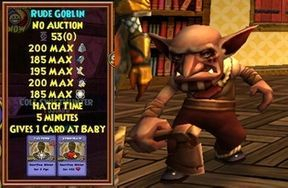 There's a cool Rude Troll pet that is dropped in the last battle. Also, a cool new purple spider pet! 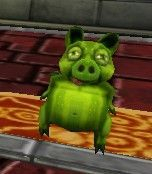 In the third battle, you could get a Dill Piggle. Yes you heard me! A Dill Piggle. It's in all green and has stripes. 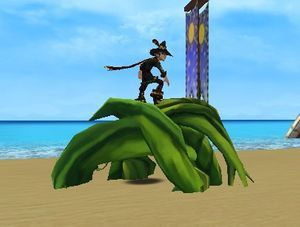 It looks like a Dill Pickle ;) You could also get the common pets which are Silverback Wildclaw and the Mustard Troll. 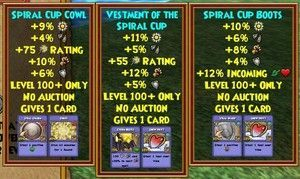 And when you finish it, you get a nifty badge - "Spiral Cup Tutor" Cool, huh?